For a variation on our original Gardenbeds Overflowing, try this! Pink carns, yellow poms, and a giant double dutch gerbera this time! Add zest to your event today! Standard arrangement includes 6 stems. Deluxe arrangement includes 8 stems. 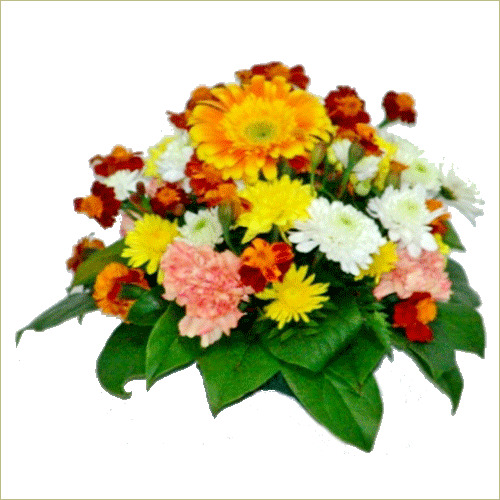 Premium arrangement includes 10 stems.